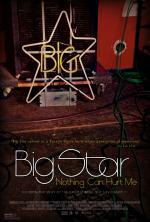 “Despite their sun-kissed melodies and barbed guitar hooks, Big Star proved a little too esoteric for the pop mainstream of a dumbed-down decade. Instead, they settled for being one of the most beloved and influential American cult bands of all time. Not to mention one of the unluckiest, in ways that went beyond the vagaries of marketing and rock-radio playlists.